Making healthy, local food more accessible to all! 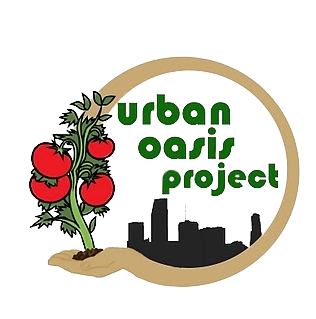 We strive to do this by teaching people to make and maintain food gardens in underserved communities, and connecting local farmers produce to consumers by running farmers markets offering doubled EBT purchases and a Fruit and Veggie Prescription program with various partners. Everyone in South Florida to re-think the lawn and plant vegetable gardens, fruit trees, butterfly gardens, and plants which attract pollinators, birds, and wildlife. We envision a city with multiple yards of lush growth producing food for all. Each yard is an urban oasis, creating the larger urban oasis citywide. Workshops and classes on gardening methods, composting, food preservation, and food preparation. Healthy, fresh local foods to the people who need it the most. Inner-city farmers' markets tend to the underserved, accepting cash, credit, debit, and SNAP/EBT. For Our SNAP customers, we double their produce purchase with our FAB Program- up to $80 of veggies for just $40 on your EBT card! Conventional markets often do not serve these neighborhoods, and do not educate people about how to get the most nutrition for their food dollars. Raised bed vegetable gardens and edible landscaping. Everyone can grow at least some of their own food, and the benefits are immeasurable! Body, mind, soul, the planet - everyone wins. Gardening advice, experience, anecdotes, knowledge, trials, and errors to help our communities prosper. Local food, that which is measured in food-meters, not food-miles. How far did your salad travel from soil to table? With volunteer days, field trips, and potluck suppers starring our garden goodies, creating a culture of healthy food. To bring more fresh, local food to everyone, especially underserved communities. With farmers and gardeners so we can help each other make the community a healthier place.